Scene from The Tempest by William Shakespeare, 1856-1858. 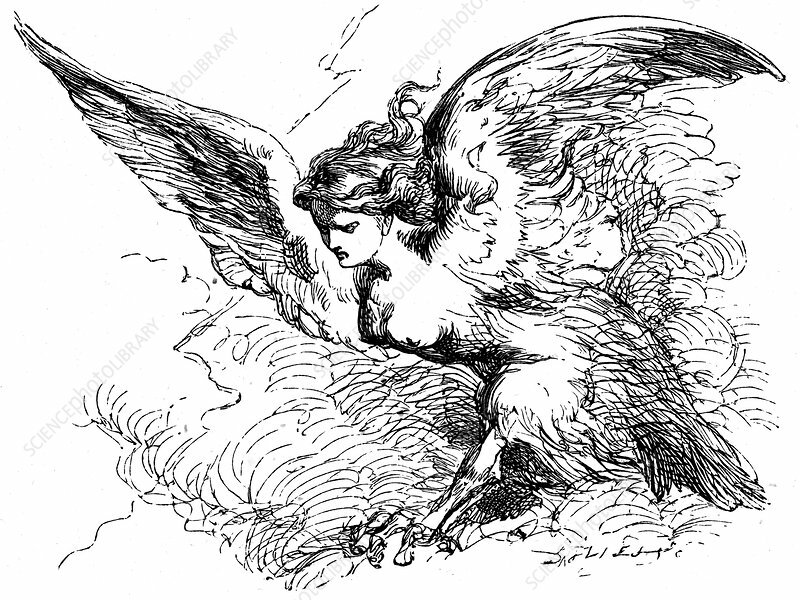 Ariel, 'an ayrie spirit', in the guise of a Harpy, about to clap his wings and make the magic banquet Prospero has shown to Alonso and his party disappear (Act III Sc III). The Tempest, a romantic drama, was first performed in 1611 and appeared in print in 1623.